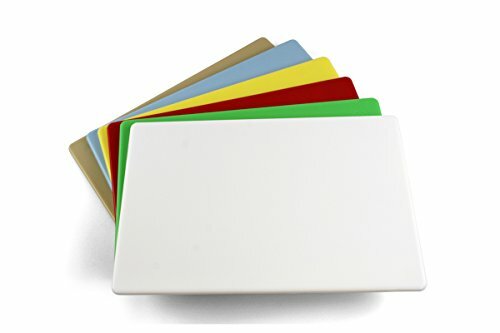 Our professional grade poly cutting boards are engineered for food service professionals for frequent and repetitive use. 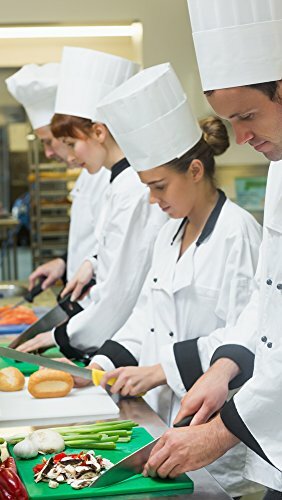 This complete set is NSF certified and FDA approved and fulfills requirements for cross contamination by health inspectors and health inspection requirements for food service. 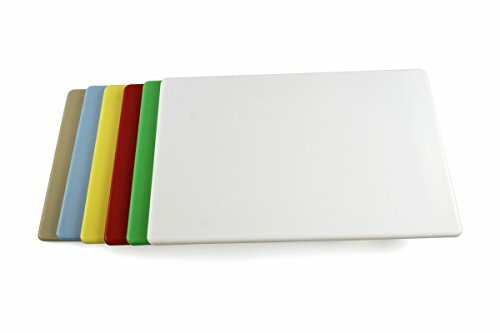 Made using a multi-process injection molded manufacturing process, our HDPP (high density polypropylene) boards have superior wear and heat tolerance to PE (polyethylene) cutting boards. 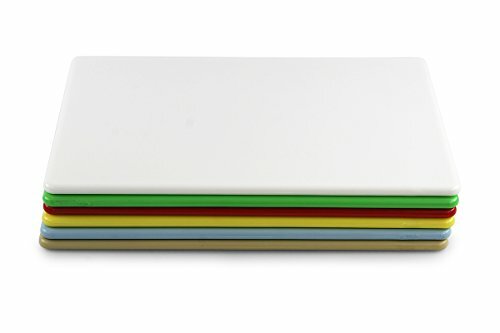 Designed by chefs, the surface is lightly textured to provide a slight grip to help prevent slipping and to assist with prep. Corners and edges are rounded so the board may be picked up off the table without requiring to the slide off the station. Each cutting board is NSF certified and bears the NSF stamp and logo. HDPP is also FDA approved for food contact.